This is a newspaper ad for a 1952 stage production of Dracula. 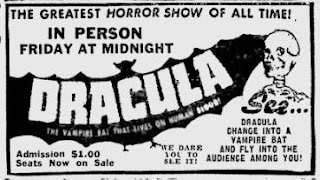 This particular stage production was the same adaptation of Stoker's novel that Bela Lugosi was starring in around 1927 before he was cast as Dracula for the 1931 movie. 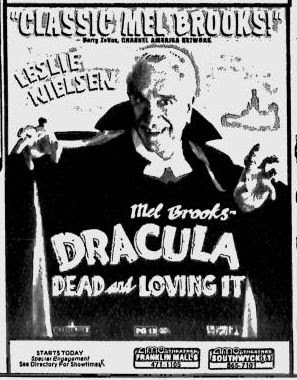 This is an ad for a double featuring of Universal's Frankenstein and Dracula. 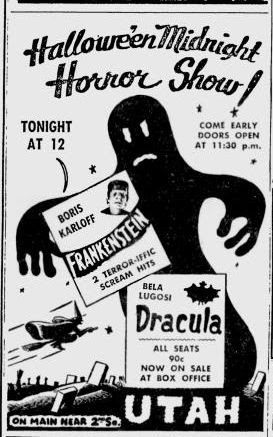 The ad is from 1956. 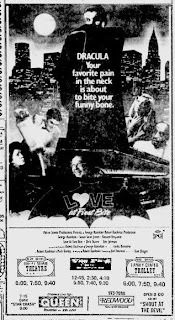 I would have loved to have seen this double feature.